Windows Media Center, the application that most Windows users used to play the DVD, is one of the features deprecated in Windows 10. As such, Windows 10 does not have any native app that can playback DVD without having to install third-party programs such as VLC Media Player. 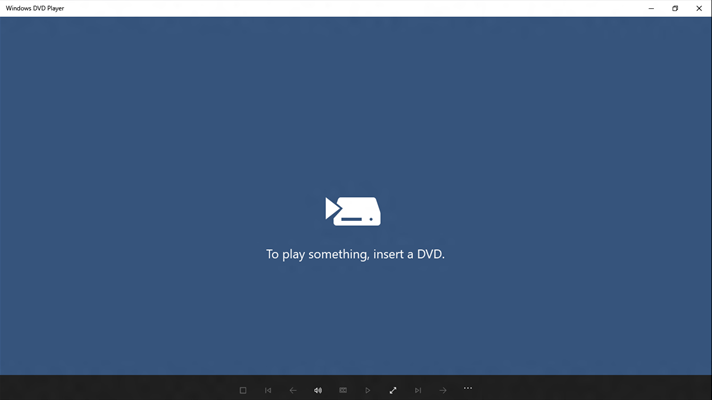 Microsoft has promised to release a DVD player app for Windows 10 users to play the DVD collection, and app, Windows DVD Player, is now released for Windows 10 system. Windows DVD Player for Windows 10 allows users to play and watch both commercial and homemade DVD discs in the DVD-Video format and provides simple controls to navigate around disc menus. Obviously, the system has to have a DVD-capable optical drive to take advantage of the app, as it does not play DVD VOB files stored on hard disk drive. Windows DVD Player also does not play Blu-ray discs. If your system is eligible, the Windows DVD Player app will be automatically downloaded through Windows Update as KB3081704 soon after you upgrade to Windows 10. But do note that the free download of Windows DVD Player app offer is time-limited, and the free download offer would expire at or before the end of Windows 10 free upgrade period. Windows 10 systems that are ineligible for free Windows DVD Player app, such as Windows Enterprise edition, the Windows DVD Player app is available at the Store for $14.99. One important to note is that free Windows DVD Player app is tied to your Windows 7 or Windows 8 installation. To get the free app, you must upgrade from Windows 7 or Windows 8.1. If you have upgraded to Windows Insider preview builds then to Windows 10 RTM, you’ll have to use your installation media to re-install Windows 7 or Windows 8 + Media Center, and then upgrade to Windows 10. Likewise for clean install by formatting or deleting hard disk, you won’t be offered the free app if you’re not upgrading. However, you will get the free Windows DVD Player app if you perform an upgrade and choose to delete files, apps and settings during Windows 10 setup.